IT'S time to pop the champagne and celebrate - you got promoted to head a team. But even before the bubbles fizzle out, new managers quickly realise their role is a lot harder and less glamorous than it sounds. Often, they get thrown into the deep end to either sink or swim. 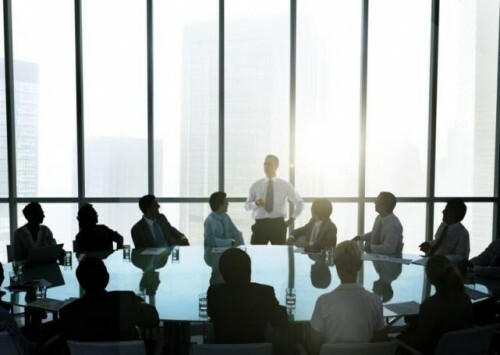 A survey by CareerBuilder found that 58 per cent of new managers receive no formal management training or development before transitioning into leadership roles. It is little wonder that a quarter of first-time managers did not feel ready to lead others, with 20 per cent of them doing a poor job, according to their subordinates. One potential pitfall for new managers is in keeping the "superstar mindset", says Cynthia Stuckey, managing director - APAC, The Forum Corporation. "You were promoted as you were great at what you did," she says. "But the new role requires you to be great at something different." New managers often struggle to transition from the mindset of a high-performing employee to a team manager, sometimes even attempting to do the work they were great at. However, the focus of new managers needs to change, according to the Center for Creative Leadership's Transitioning into Leadership white paper series. It's no longer about you and your abilities that got the promotion in the first place, but about being accountable and responsible for the people you lead and serve. Managers have a different role to play, and this often includes coaching, developing others and performance management. "A good leader is one who knows how to effectively strike a balance. Instead of trying to do your team's work, give them ownership of their work while giving support and mentorship to get optimal performance," suggests Sanjay Modi, managing director for India, Middle East, Southeast Asia and Hong Kong at Monster.com. Establishing authority and managing previous team mates (who may have been friends or rivals before) can be one of the most daunting challenges for anyone. Many struggle with the desire to still be "part of the group" and yet wanting to be respected at the same time. However, Ms Stuckey says that the dynamics "completely change" after this type of promotion and it is "critical" to recalibrate relationships. "Distance yourself from past peers and learn how to filter information differently to ensure the manager-staff relationship is created over time," she advises. Mr Modi suggests that new managers arrange meetings with former peers to help acknowledge the awkwardness and pre-empt questions about how things will change. Next, it is critical to host a team meeting to set clear expectations for all direct reports and introduce how you plan to operate. Being transparent and communicating boundaries early on will benefit everyone in the long run. Ultimately, former team mates need to know who's boss and that no preferential treatment will be given in terms of rewards, time and resources. "If their friends deserve it, and it's documented, great. If they don't, and they still get rewarded, that's when gossip, perceptions of unfairness and all sorts of trouble will start," says the Center for Creative Leadership. Before taking on a new team, get clarity on what your key performance indicators (KPIs) and requirements are from your new boss - following which, managers have to do their homework on their team. This includes reviewing information such as past performance data and researching how others view the team and its members. Talking to leaders who have worked with them can be useful to uncover the members' operating style, strengths and knowledge gaps. This can also help uncover who the influencers and informal influencers are, and what cliques exist. Most importantly, new managers need to get to know the team on a more personal level. This can be done through one-on- one meetings where managers can find out from members where they envision the team going, their priorities, areas of support they desire from them, and pain points impacting the team's ability to perform. "You need to balance the friendly and inclusive approach with signs of leadership and strength so they have confidence you were the right choice to lead them," says Ms Stuckey. Based on your new knowledge and feedback from the team, formulate an initial plan, vision and priorities. Ensure that it involves team members so that they feel like co-authors of the plan. Addressing the team's pain points early will also help in gaining the team's trust and confidence. "Be careful not to step in and start changing too many things at once . . . until you have engaged the team and ensured over time the leadership role you have taken on is accepted," says Ms Stuckey. A clear roadmap, effective communication and keeping channels open for transparent dialogue about feedback and work issues will eventually earn the support of the team. Lastly, new managers must also learn to look beyond their team. Learning to manage up and establishing a broader network at a more senior level are equally important. Allocating time to build relationships with your bosses, your peers, and others in the functions your team works with can help you learn and grow more effectively as a leader, adds Ms Stuckey.